You are here: Home / Big Day of Giving / 3 Fun Events – 24 Hours to Give! 3 Fun Events – 24 Hours to Give! Save the date to donate, win big for Winters Community Library, and have all kinds of fun on May 5. There are 24 hours to give online from your home, tablet or phone. Or you can gather with friends and other library supporters to give where you live to make our library and community stronger. On May 5, donate directly to WFOL at this link https://bigdayofgiving.org/#npo/winters-friends-of-the-library. Want to learn more about why we participate, read more abou the Big Day of Giving here. Here is the line up so far, stay tuned for news and updates. When you donate, remember to spread the word and encourage others to join the giving party. Please note a correction. There is not a costume contest. However, there will be a raffle prize and all who wear dog themed pajamas will be eligible to win. On May 5 from 8 am to 8 pm our wonderful Winters Community Library will serve as a donation station and party central. Enjoy free treats, water, coffee and special puppet and storytelling by Jan Schubert. Jan is the author of the Sun Seed, one of the books you can win in the Literary Treasure Basket and the creator of Bee Happy Candles. From 10am til noon Visual Story Telling with Jan Schubert will take place. This is geared for children ages 2 to 6. Jan tells stories with puppets and poetry and song. There will also be crafts and treats. From 3:00 til 5:30 Tales with Tails will occur. This is where you’ll have an opportunity to read to your favorite 4 legged friends. And then from 6:00 til 7:30 Cara Patten will be at the library doing Nature Drama. Children and adults of all ages should enjoy this. Christina Dias will do her wonderful story time for preschoolers. And then we’ll also have face painting and snacks. Fun for everyone. Don’t miss out! Staff and volunteers will be on hand to help with donations and encourage community members to share their library love selfies and library support stories. Everyone is invited to contribute, to visit our Giving Edge profile page on that day, and help our campaign go viral. From 5 pm to 8 pm on May 5, donate and head down to the Berryessa Gap Tasting Room to keep the donation celebration and multiplication going. No host wine, entertainment, and appetizers are on the menu along with volunteers ready with laptops, tablets, and phones to facilitate donations and social media sharing. Thanks to our wonderful supporters at Berryessa Gap we will be able to watch the leaderboard, see a slide show of Winters Friends of the Library events and programs and take a look at the contents of the Treasure Basket. Remember, in addition to supporting our library hours and programs, each $25 donation given within the 24 hours to the Winters Friends of the Library at the bigdayorgiving.org site will receive a “virtual raffle ticket.” At the end of the 24 hours, tickets will be tallied and assigned based on donations and one winner will be randomly selected from all the tickets. Read more about the treasures and the authors over at this post. 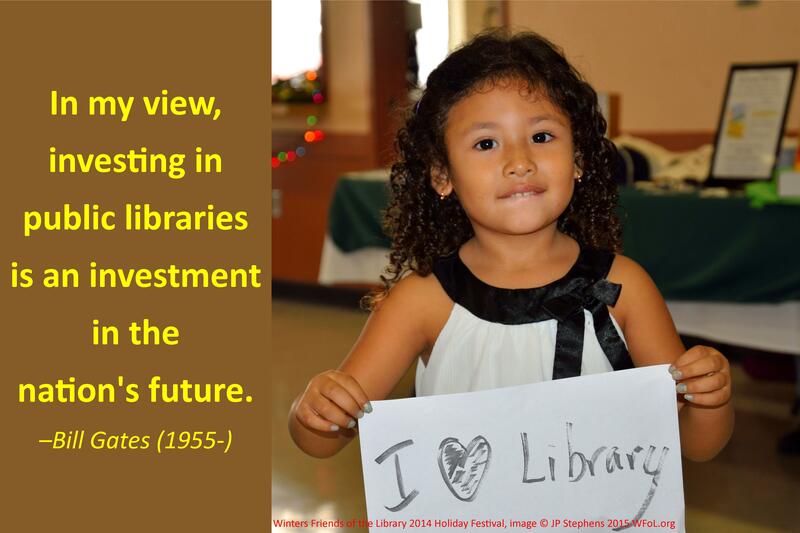 The library is the heart of our community. 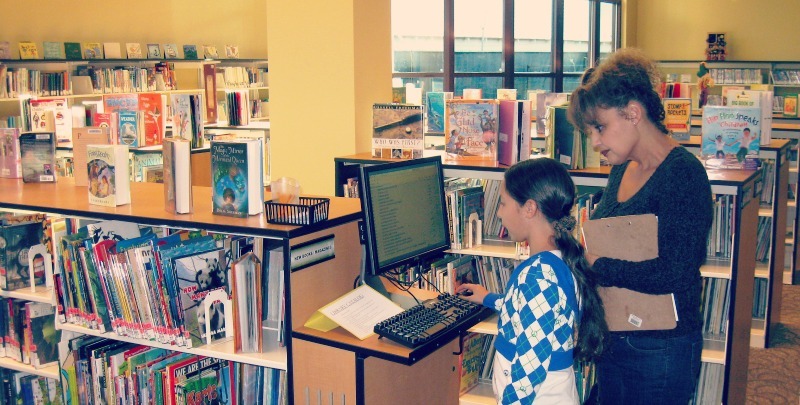 On May 5, help WFoL support the Library so the Library can Support you! Want to learn more about why we participate, read more about the Big Day of Giving here.